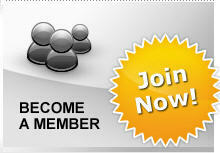 The ATRA Western Canada Chapter welcomes you to our website. Our chapter is affiliated with ATRA — the Automatic Transmission Rebuilders Association. ATRA is an international trade association for the professional automatic transmission repair industry. The Midwest Chapter offers its members opportunities they could not realize on a National or International basis. The primary purpose of our chapter is to engage in local activities that directly affect and enhance the transmission rebuilding industry.